Monday March 04, 201911:00 am | 121st Ave Ostrander, MN 55961. Ostrander, MN. US. Lender owned land auction of prime farmland in Fillmore County to be offered in three tracts at public auction. For a detailed Buyer�s Prospectus with complete terms and conditions, contact Steffes Group at 320.693.9371, Randy Kath 701.429.8894, or Shelly Weinzetl 763.300.5055. AUCTIONEER'S NOTE: Lender owned�land auction of prime farmland in Fillmore County�to be offered in three tracts at public auction. TERMS:Ten percent down upon signing purchase agreement with balance due at closing on or before April 18, 2019. 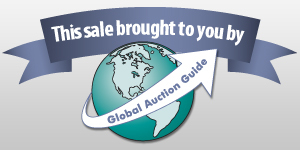 This is a 5% buyer�s premium auction.